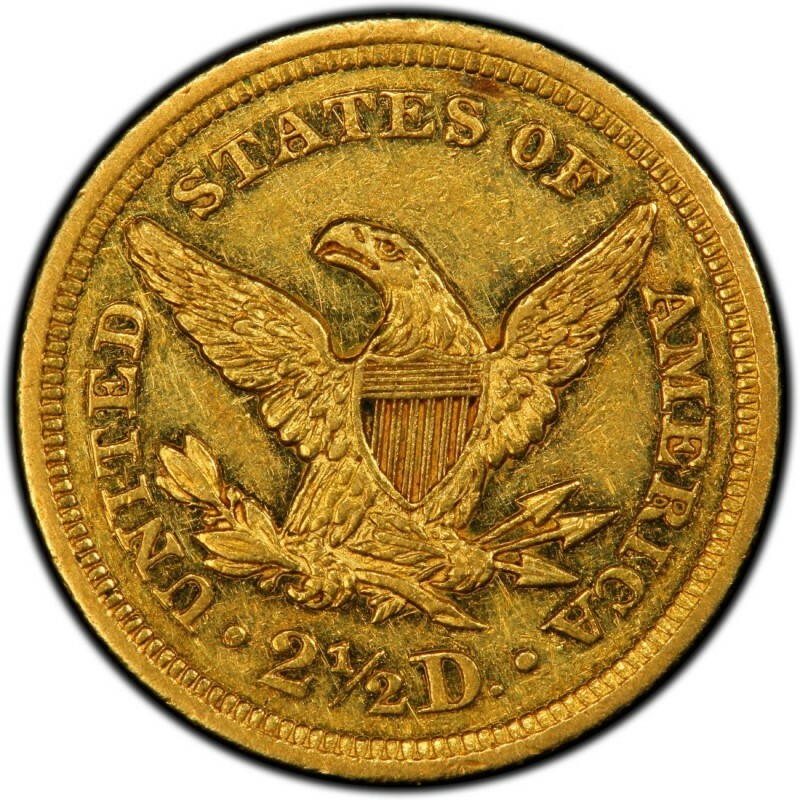 1841 Liberty Head $2.50 gold coins represent the second year of the series that is also widely called the Coronet Head quarter eagle coin type. 1841 Liberty Head quarter eagles were produced at three mints, including the Philadelphia, Charlotte, and Dahlonega. All 1841 $2.50 coins are rare, as the Philadelphia coins were proof-only coins and all Charlotte and Dahlonega quarter eagles, as a rule, are highly scarce. 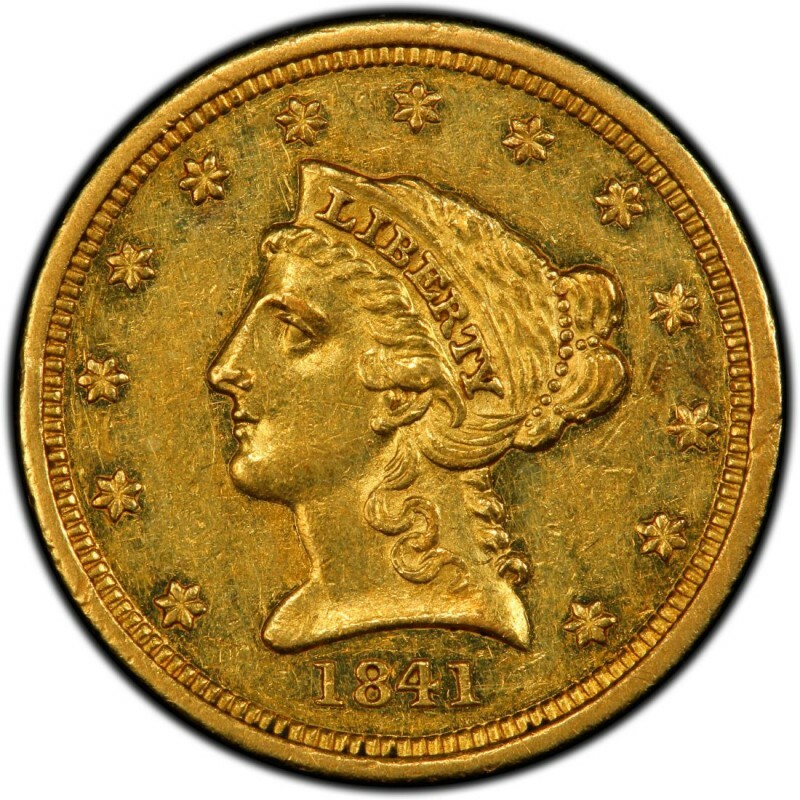 1841 Liberty Head quarter eagles consist of a composition that is 90 percent gold and 10 percent copper; that’s a typical “coin gold” mixture for gold coins of the era. Specifically, 1841 Liberty Head $2.50 gold coins weigh 4.18 grams and have a diameter of 18 millimeters, which means they are about the same width of a standard dime. In all, 1841 Liberty Head $2.50 gold coins contain a total of 0.1202 ounces of gold. 1841 Liberty Head $2.50 quarter eagles were designed by Christian Gobrecht, who served as Chief Engraver of the United States Mint. Gobrecht was the same coin designer who created the widely popular Seated Liberty coins struck from the 1830s through the early 1890s. 1841-C $2.50 LIBERTY GOLD COIN PCGS AU53 REVERSE PLANCHET LAMINATION; RARE COIN!